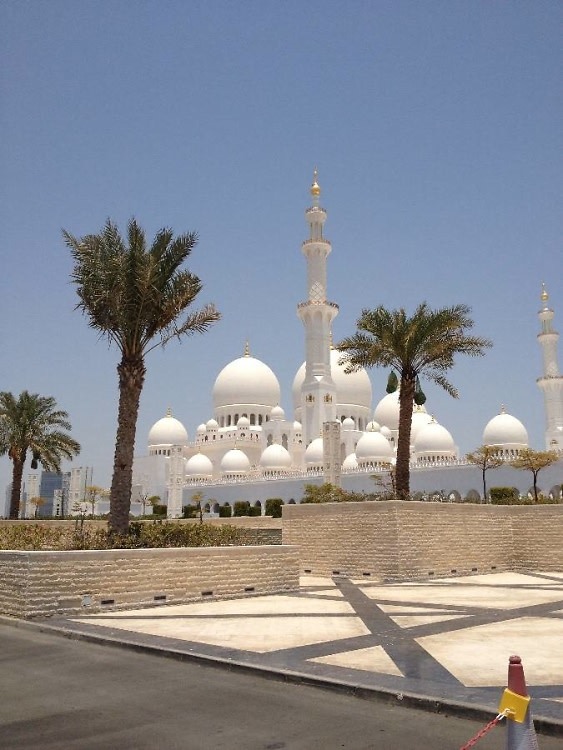 Sheikh Zayed Mosque, Abu Dhabi, United Arab Emirates: Opened in 2007, the Sheikh Zayed Mosque, also known as the Grand Mosque, can hold over 40,000 worshipers, is made up of 82 domes, and cost approximately $545 million to construct. 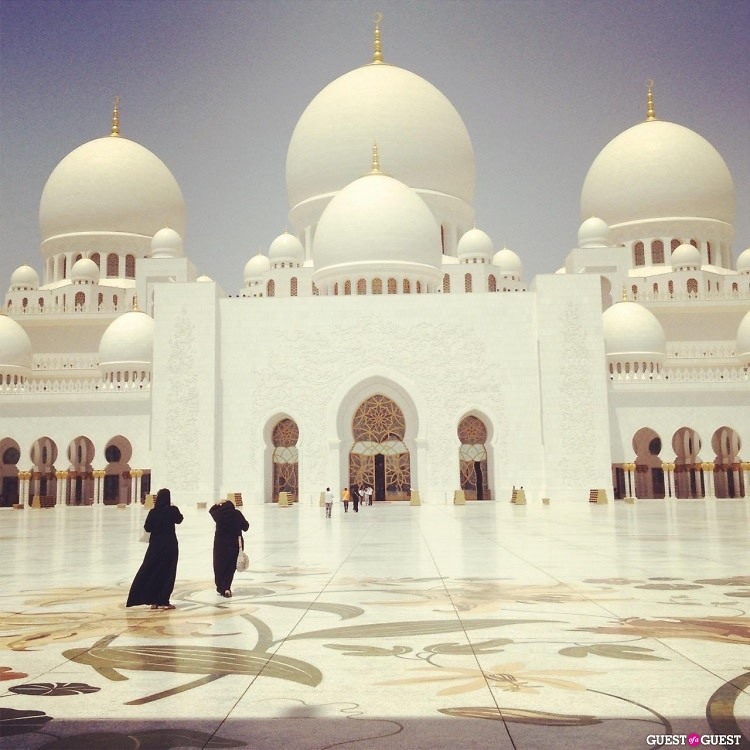 In order to enter the mosque, women must wear an abaya and men must have their shoulders and knees covered. 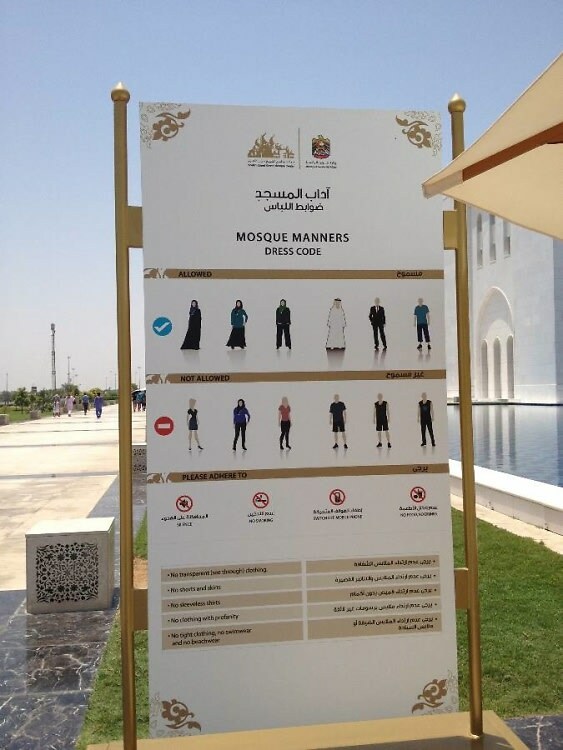 Women can borrow abayas from the mosque. No shoes are allowed inside. 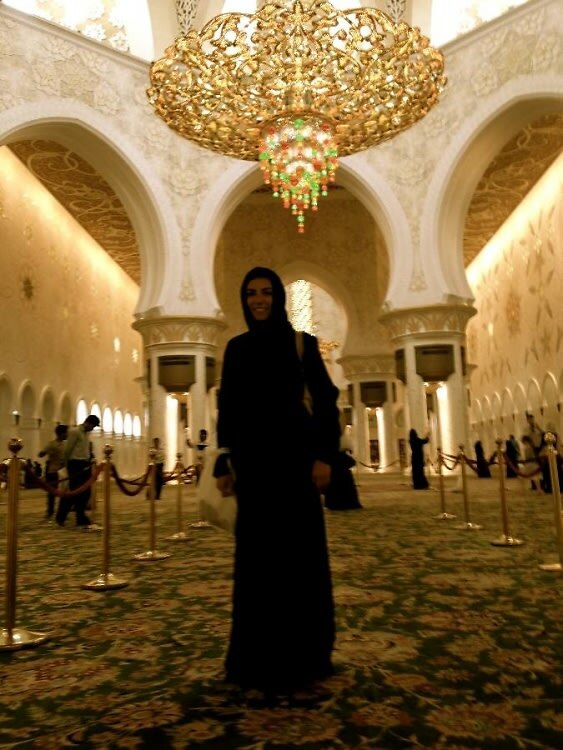 The chandelier (above, left,) is the 3rd largest in the world. 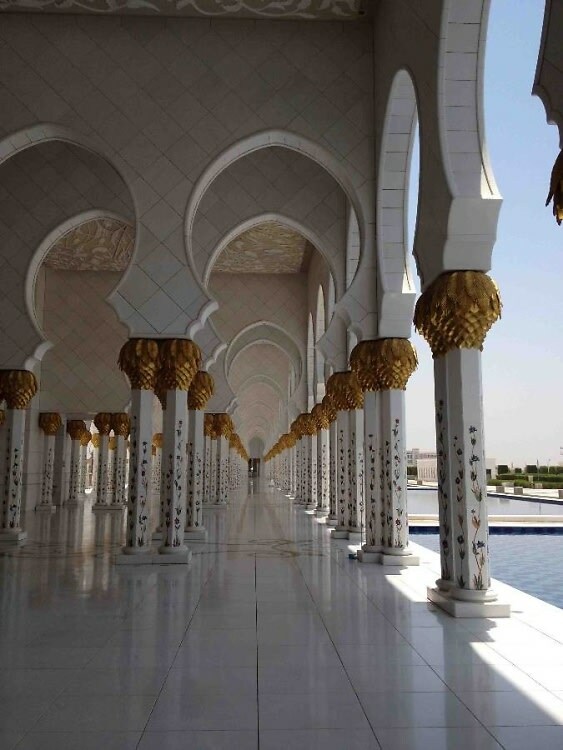 The 96 columns inside the prayer hall are made of marble and mother of pearl. 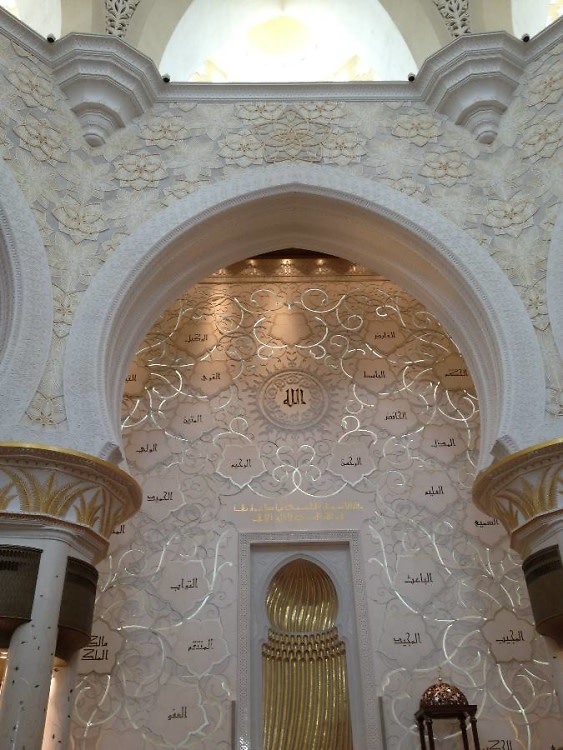 The 99 names of Allah are written in Kufi calligraphy inside the mosque. 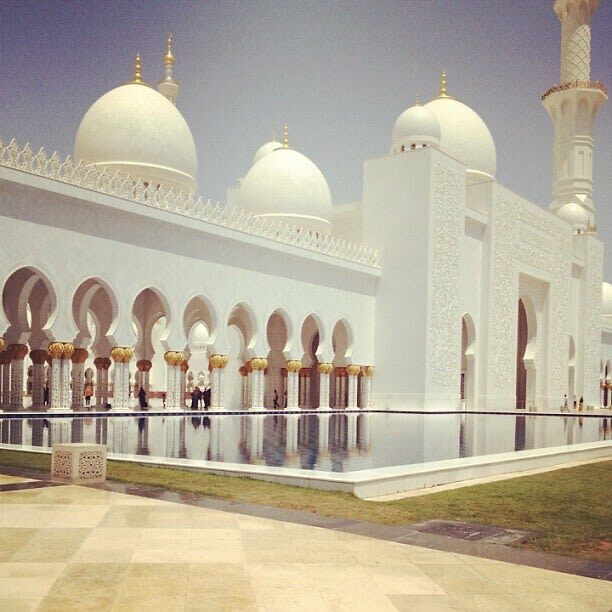 The mosque is constructed out of materials from many countries, including Italy, Germany, Switzerland, Morocco, Turkey, Iran, and China. The goal of the mosque is to unite the world, and by using these materials, the builders hoped to display their mission.